Esol Education will be pleased to welcome Stephen Ritz to our Dubai campus at Universal American School as a springboard to our dialogue on sustainable education and integrating his important work into our future schools. 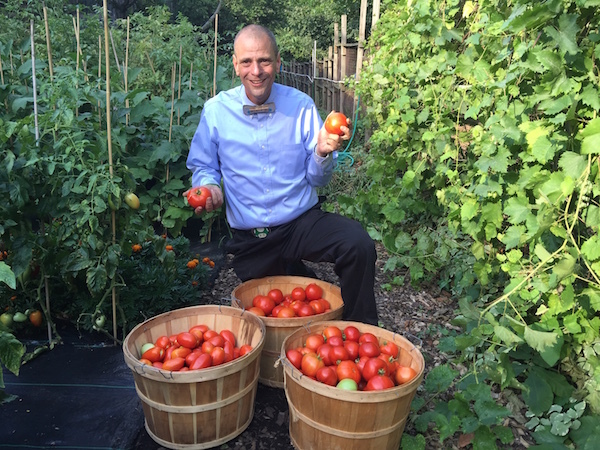 Stephen Ritz will address the entire Middle School at an assembly in the Universal American School MPH and showcase his work with the GreenBronx machine, as well as the importance of eating healthy. We are look forward to an energizing morning! Stephen Ritz will meet with the Green Team at UAS for an exploration of Green Towers, vertical gardens and more. Maybe we will even have our very own produce at the school soon! Stephen Ritz will address the entire High School at an assembly in the Universal American School MPH, inspiring our seniors to curate and create their very own projects based on the success of the Green Bronx Machine. Stephen Ritz will meet the residents of The Sustainable City and discuss the concept of urban farming and how they can implement it right within their own sustainable homes in Dubai. The Sustainable City (TSC) is a project by Diamond Developers at Dubailand. This will be the first residential community of its kind in Dubai and is expected to meet the highest environmental standards by adopting a sustainable approach in its quest to become a regional leader in eco-tourism and global environmental protection. Stephen Ritz and Esol Education will visit with the TSC team to discuss innovation and sustainability in education. We will also meet with the visiting faculty from the University of California, Davis for a collaborative session.